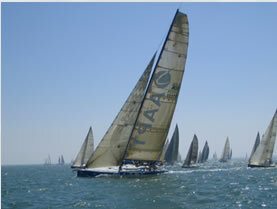 Doyle Sails has very quickly grown to be a leading force world wide in Grand Prix race sails, both working sails and downwind specialist sails. Head designer Richard Bouzaid leads the design team with probably more experience than any other sail designer. Doyle Sails is the only sailmaker to offer 100% inhouse sail design, Stratis™ sail membrane manufacture facility and production plant. This makes for a complete manufacture facility that can be completely controlled in-house for product, quality supply and delivery. Over the years Doyle has have amassed an impressive race winning record and have supplied sails to notable yachts such as J-class “Velsheda”, 100’ Elliott “Maximus”, Welbourne 95 “Bols”, 100’ Bakewell White Zana, Sydney Hobart winner 95’ Nicorette and many others. Extensive testing on the water and in wind tunnels has allowed us to develop sail shapes and crossovers perfected for the individual custom granprix yacht. 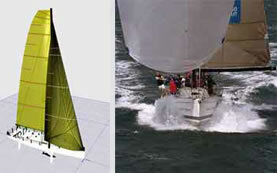 This combined with our inhouse Sailpak design program offers unrivaled performance.